* How-To : Programming in Python, LibreOffice, and Network Settings. * Book Review: The Book of GIMP. * How-To : Programming in Python, LibreOffice, and Create a Thief-proof PC. * Graphics : Kdenlive, and Inkscape. * Web Dev : CRUD Part 3. * Book Review – Think Like a Programmrer. * Closing Windows – Installing Fonts. * What Is – PGP Encryption. 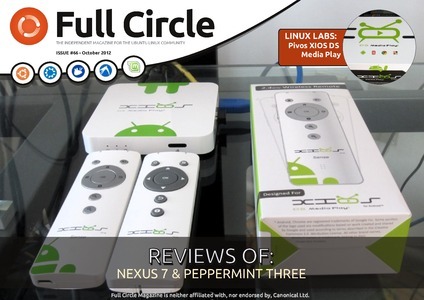 plus: Command & Conquer, Linux Labs, Ask The New Guy, My Story, and so much more! * How-To : Python – Part 37, LibreOffice Part 18, and Use Encryption. * Graphics : Kdenlive Part 2, and Inkscape Part 5. * Book Review – Ubuntu Made Easy. * Closing Windows – Mapping A Network Drive. 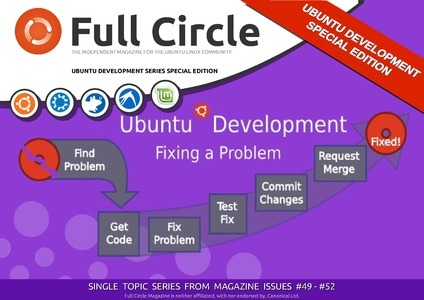 Un nuevo especial de la revista FullCircle, en éste caso, sobre el desarrollo con Ubuntu. 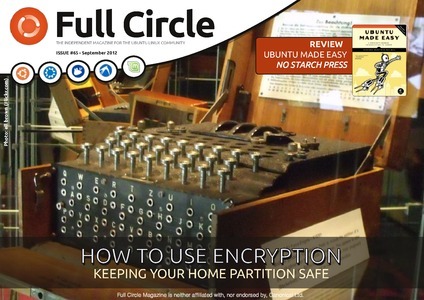 Si te gusta la revista FullCircle y quieres descargar algún número que te falte, puedes utilizar el siguiente script. download? ( > or = the previous number) "
¿Buscas algun libro tecnico para aprender a programar en algun lenguaje?. ¿Te gustaria diseñar tu propio videojuego? O en cambio te interesa algun ensayo, revista o novela. 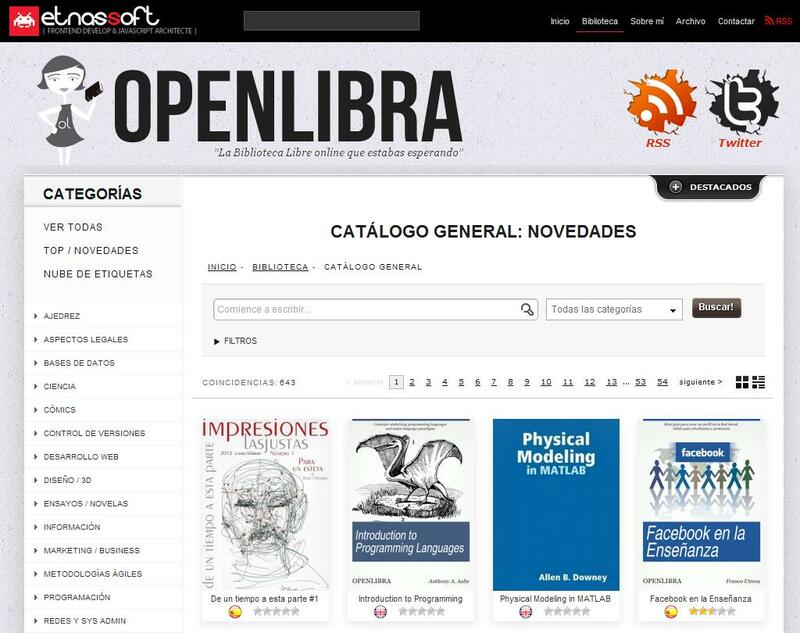 Pues echale un vistazo a OpenLibra, podras encontrar muchos tutoriales, manuales y PDFs que circulan por la red, pero categorizados y con un facil acceso.